The crown jewel of development land in Bend, Oregon. 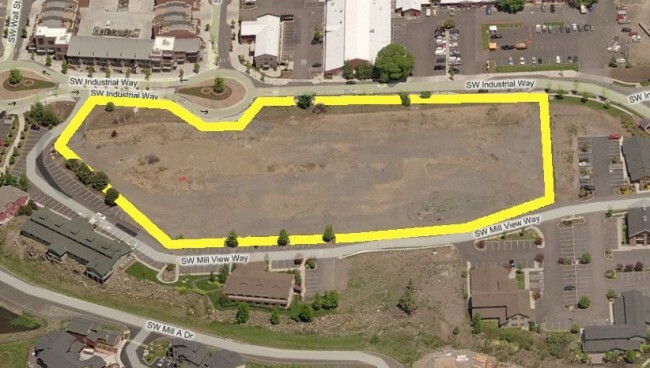 Formerly the location of the Mercato planned development, this 4.31 acre commercial property lies directly between Downtown and the Old Mill district, and very near the banks of the Deschutes River. If you are looking for high profile commercial real estate land, it doesn’t get any better than this. Property is zoned multi-use riverfront and is located in the heart of Bend. Buy and hold or develop a hotel, shopping center, market, or? Own the opportunity to add value to a highly enjoyable and popular destination. Once the location of an historical wood mill along the banks of the Deschutes River, this commercial land was prepared and ready for development. The sharp and catastrophic real estate downturn in 2009 and 2010 left this site undeveloped. As the area begins to recover, development of this property will leave a lasting impression on the area.